Running injuries are one of the most common things we treat here at Back to Health Physio. Here we will show you some of the most common conditions we see and how to avoid these sorts of things yourself. Patello-femoral syndrome – this gives you pain at the front of your knee during or after exercise involving your knee (especially running) and is due to a combination of abnormal biomechanics, inappropriate loading of the knee and muscle and tendon weakness and tightness. This condition requires a biomechanical assessment to diagnose any irregularities of how the knee, ankle and hip are working and then treatment to decrease the aggravation around the knee and specific stretching and strengthening exercises to correct these underlying factors. Things you can do to minimize your risk of patello-femoral syndrome are: Regular gluteal, quadriceps, hamstring and ITB stretching, not increasing exercise of the knee too rapidly and wearing appropriate supportive orthotics and footwear. Cartilage degeneration in the knee – This happens to everyone’s knees as they age but to for a number of different factors to a more or lesser extent. This condition is associated with generalized pain in the knee with weight baring activity (again especially running). 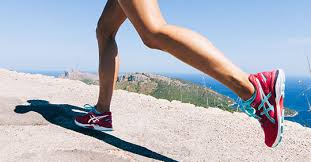 There are a few key things you can do to stop or slow down the rate of cartilage degeneration including: staying active within limits of pain (if walking is painful then options are swimming or cycling) Making sure you havefunctionally strong leg muscles before you start running training so they can support and take pressure off your knee joint better and wearing footwear to support and absorb some shock from the surface you are exercising on. Shin Splints – This type of pain at the front of your shins can actually be from a number of different anatomical structures associated with overuse. The most common presentation of shin splints is termed medial tibial stress syndrome where the lining of your bone that muscle attaches to is being placed under too much pressure and starts becoming painful. Less commonly there is an actual stress fracture. Key things to do to avoid these frustrating conditions are: gradually increasing training, specifically appropriate footwear and having your lower limb biomechanics checked for slight imbalances. Make an appointment here at Back to Health Physio for any pain or discomfort associated with your running because you shouldn’t have to put up with annoying symptoms when usually they are so easily fixed! Or more proactively come in before you have an issue and we can specifically minimize the risk of you having injuries get in the way of your training!